Online casino players looking to enjoy playing in CoinGaming-powered casinos and sportsbooks are in for a treat. The Bitcoin casino software provider will be offering a blackjack game that can be enjoyed on mobile devices, even with the use of just one hand. 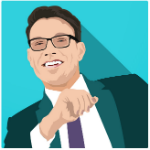 OneTouch, an innovative online game content developer, creates revolutionary games that are best played either in desktop or in mobile. Currently offering games for the all-time favorite casino classics—roulette, blackjack, and baccarat—OneTouch is the latest partner of CoinGaming.io. This partnership gives CoinGaming the green light to integrate the OneTouch blackjack product. This also enables the company to provide its expansive customer base with new games and more ways to enjoy betting Bitcoin on blackjack wherever and whenever they want. OneTouch Blackjack is the newest app developed by OneTouch. It is designed to be played with only one hand, and it features an innovative mobile-first design that boasts single-touch interactivity. This game, although available for desktop, is best enjoyed on a smartphone, where players must only use one finger to begin playing several rounds. Such game design is perfect for Bitcoin casinos, where the players truly benefit from convenience and instant transactions. Moreover, OneTouch Blackjack uses a SHA-256 provably fair algorithm, and this further makes the betting experience safer and more reliable. With the RNG working hand in hand with the provably fair technology, players are assured of a tamper-proof game. On top of these features, OneTouch’s new blackjack product allows the players to personalize the table. A range of options are available to modify the colors and styles that will show on the table as they play the cards. 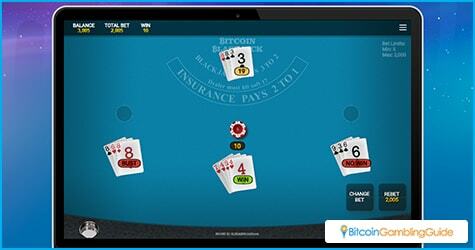 Players can expect to find OneTouch Blackjack integrated first with BiCasino.io and SportsBet.io. CoinGaming.io has already proven to be a reputable name in the Bitcoin gaming sector, with its white-label Bitcoin casino solution among the top preferred packages available for this niche market. Prospective online casino operators can contract CoinGaming to build their online casinos and sportsbooks from the ground up, including account management, payment processing, and online games. The special factor that makes CoinGaming’s services different is that it is aimed at delivering the experience for Bitcoin players. The company has also signed partnerships with several software developers to showcase their games. Over 27 premium game developers that include the likes of Betsoft, Ezugi, NetEnt, Microgaming Quickfire, Endorphina, and GameART are already on board, enabling CoinGaming.io betting sites to showcase their high-quality games. Besides these games, CoinGaming also offers live dealer broadcasts, using the best equipment out there. 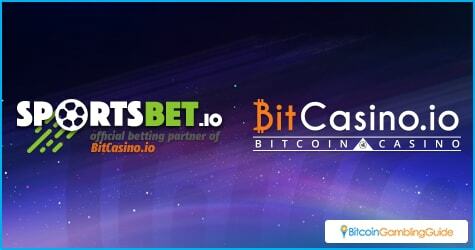 With the company’s latest team up with OneTouch, BitCasino.io, SportsBet.io, and other CoinGaming casinos and sportsbooks will experience the convenient, mobile, and safe blackjack game through OneTouch.